The last week I have been watching Downton Abbey, an Upstairs Downstairs-type of series. It is set in the same Edwardian era as the original early 70s show. The new series is cast well, with high production values. 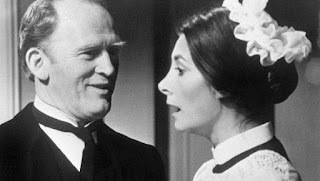 It is more operatic than Upstairs Downstairs was, episodes being more dependent on the overall narrative. The setting is more romantic, taking place in a large country estate, rather than a London townhouse. 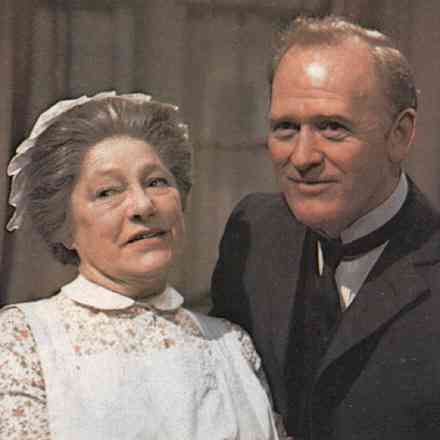 With all the drama between the servants and their masters, butlers and lordships, I cannot help but recall the greatest butler of them all, Gordon Jackson in his role as Mr. Hudson in the original series. With just a silent shift of his lips, he was able to express concern or disdain. Jackson died eons ago it seems (1990), but the expressions and opinions of the Scottish butler remain indelible and fresh in my mind. I feel that we know the thoughts of Mr. Hudson far more than those of the butler in the modern series. Is this a tribute to the writers and actors of Upstairs Downstairs, or simply the way things have changed for me as a viewer? I saw the old show over the course of many years, gradually, growing up with it. The modern show is something seen quickly, over the course of a week or two. When we consume modern media in such a way, is it no wonder that it does not impress and move us in the same way that earlier works did? I wasn't into either of these but heard some people refer to the contemporary show as "Downtown Abbey."